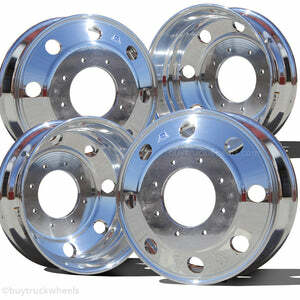 Alcoa 16" x 6" - 8 Lug Wheel Package for sale fits E-Series Motorhomes Ford E-350 & E-450. Kit includes 4 Polished wheels, Chrome Hub Covers, & Lug Nut Covers. 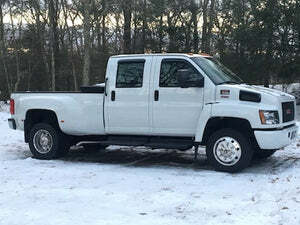 Wheels also fit older 1-Ton F-350 Dual Trucks. Free Shipping!